I love this recipe. I cook it at least once a week, and it was the first thing that D.J. made for me when we started dating. 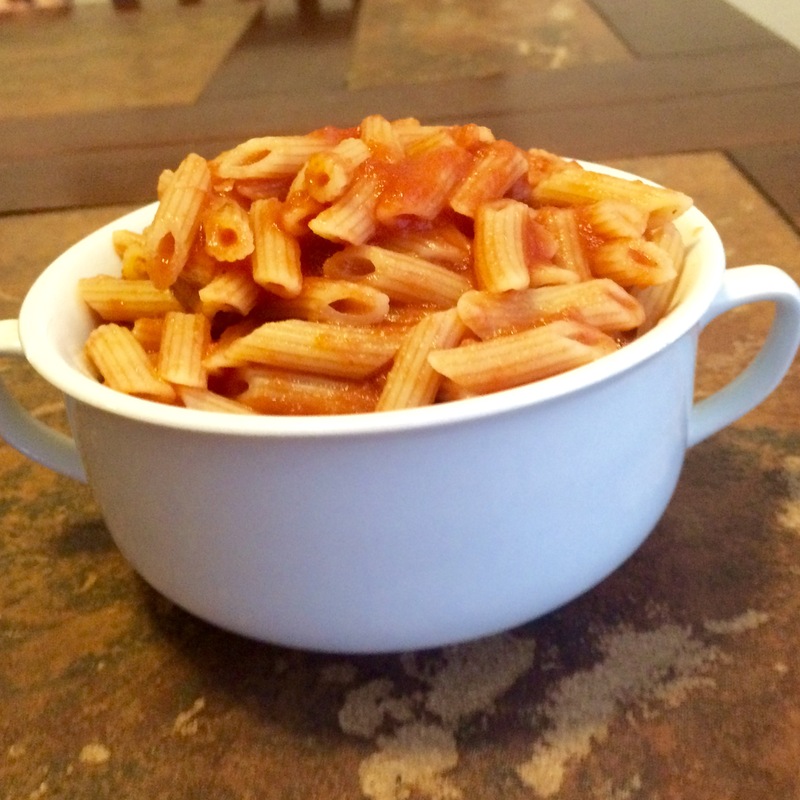 I always knew that I’d marry an Italian boy, but this recipe really sealed the deal. There is something so comforting about a big plate full of spaghetti, and something even more comforting when the sauce is homemade – you can almost taste the love. For the longest time, I always had D.J. make the gravy (spaghetti sauce), but I knew I had to learn, and I am really happy that I did, and now that I feel I have mastered sauce, I wanted to share with you. 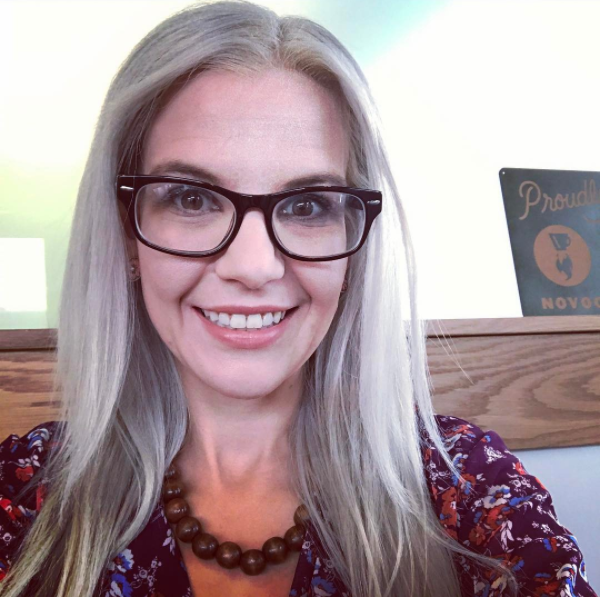 Making crockpot spaghetti sauce is probably one of the easiest things you can make and it feeds an army – so freeze whatever you don’t use for dinner for later on in the week, the month – or even a different recipe like lasagna, mini spaghetti pies, lasagna rolls, homemade pizza or mozzarella sticks. There are just so many options for spaghetti sauce! What are your favorites? 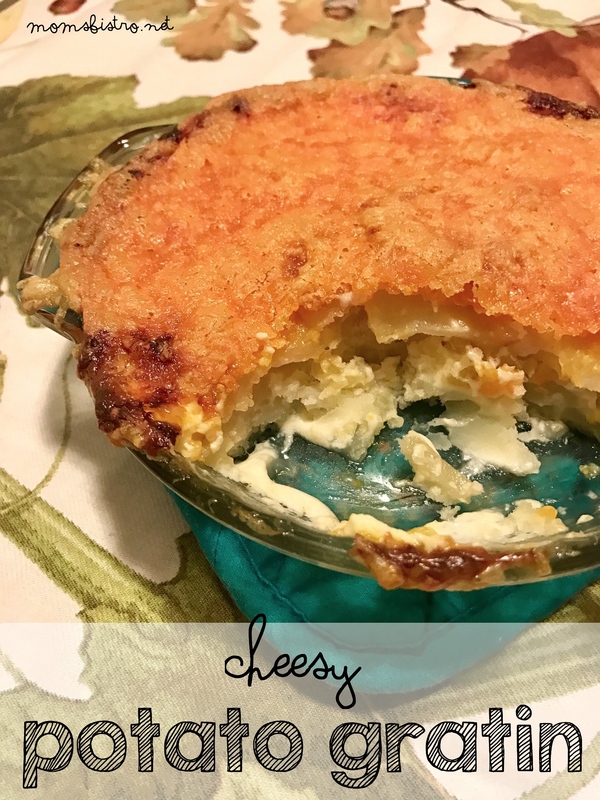 I used to simmer this sauce on the stove all day long, keeping my eyes on it, making sure that it didn’t boil over, and that the sauce didn’t burn to the bottom of the pan, but when I started working I needed an easier solution. 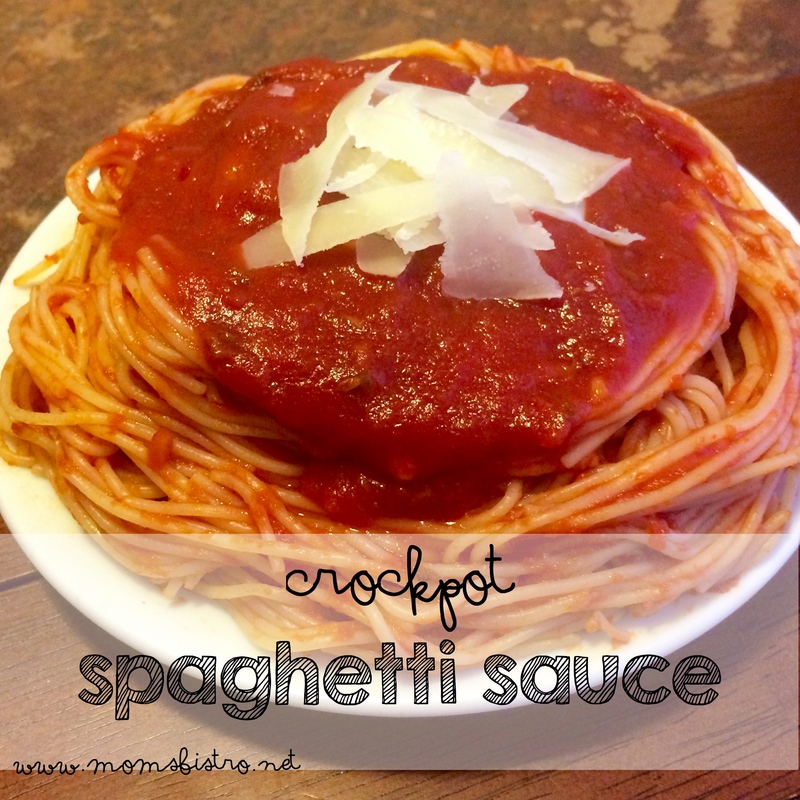 Making spaghetti sauce in the crockpot makes for an easy weeknight meal since the prep only takes a few minutes. Save even more time, and switch out the crushed tomatoes in this recipe for Pomi strained tomatoes. I promise you will thank me! Gather all of your ingredients. If you want to make this a meat sauce, cook some ground beef in a large skillet, drain the fat and add the the crockpot when adding tomatoes. 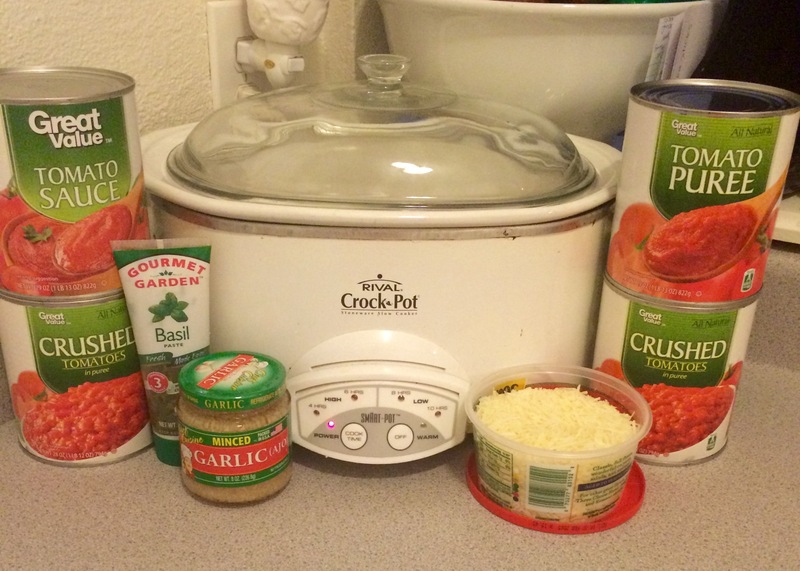 The first step in making crockpot spaghetti sauce is to mill the crushed tomatoes. If you are using Pomi tomatoes, just skip this step. Dump crushed tomatoes into food mill over a large bowl, and process until all that is left in the food mill is seeds and skin, and the bowl is full of a thick, tomato puree. Dump crushed tomatoes into food mill over a large bowl. I can usually fit two cans of crushed tomatoes in my food mill. Keep turning your mill until all that is left is seeds and skin. The purpose of processing tomatoes through a food mill is to remove the seeds which can make the sauce a little bitter. Once pureed through the food mill, your crushed tomatoes will look like this. Again, to make your life easier, pick up Pomi strained tomatoes. 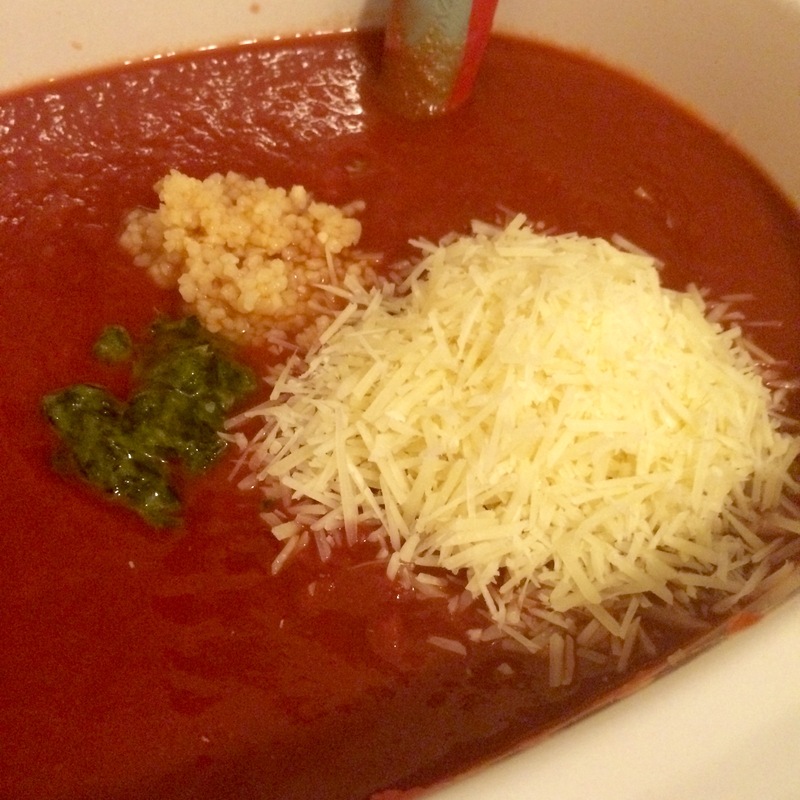 Add milled tomatoes, tomato puree, both cans of tomato sauce, basil, parmesan cheese and garlic to base of crockpot. At this point, if you wanted to make it a meat sauce, add your cooked ground meat, meatballs or seared Italian sausage. 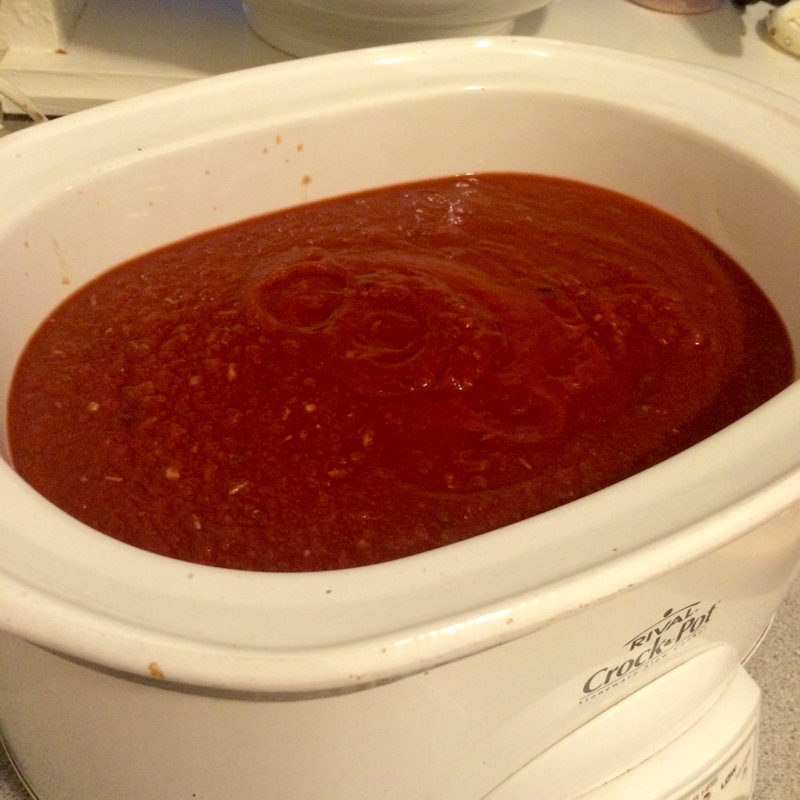 Give spaghetti sauce a good stir, and cook on low for 8 hours. 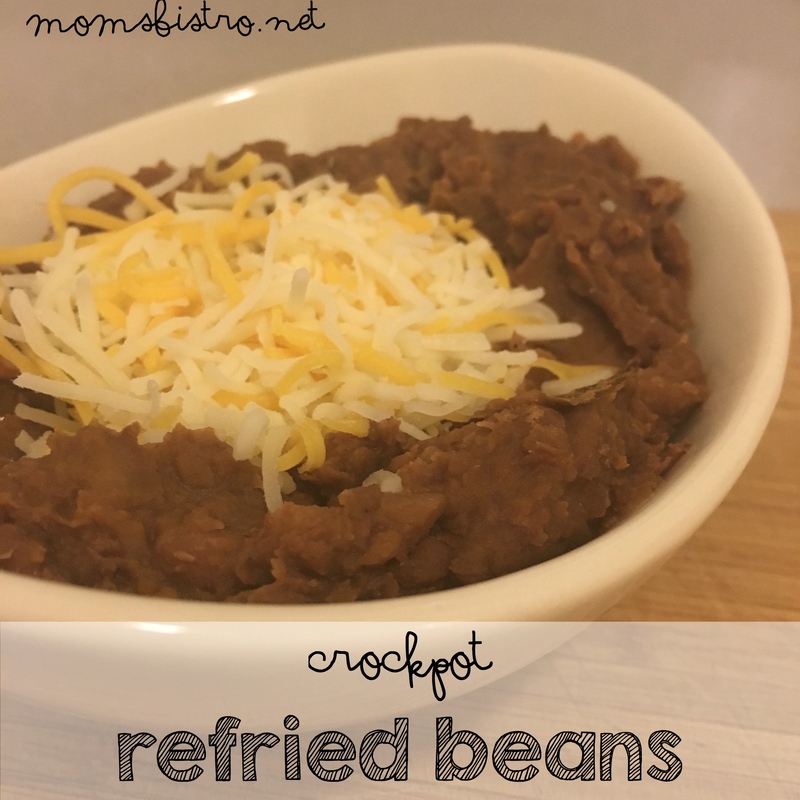 Be sure to place a spoon in the crockpot before placing the lid on to cook. The condensation from a tight fitting lid makes the sauce runny. After 8 hours have passed, you’re ready to use this delicious spaghetti sauce for anything your little hear desires. 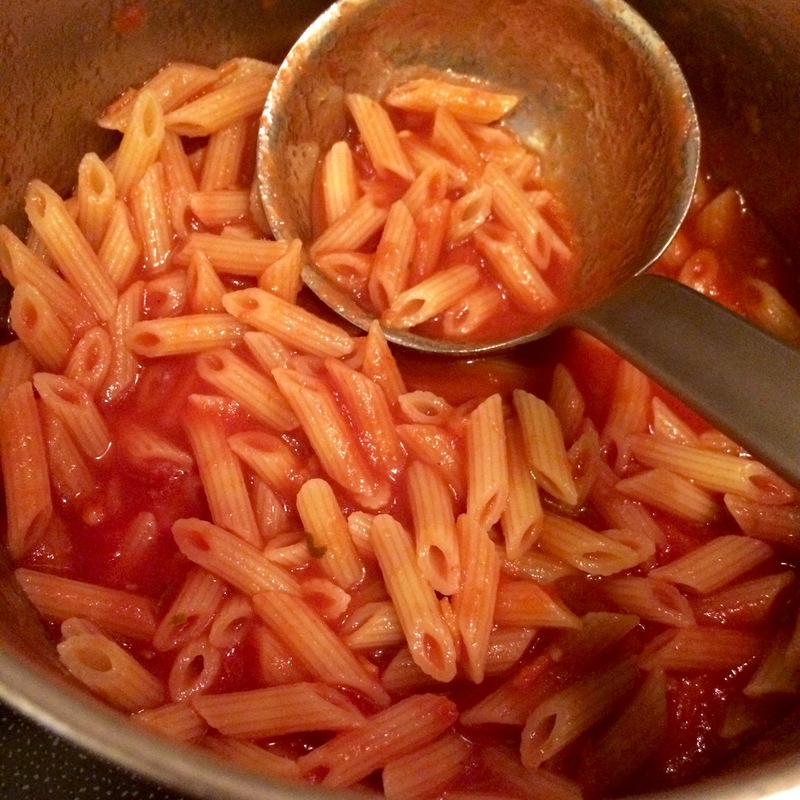 I am a purist, and usually like to serve it the first night with just some simple pasta. Easy Kid-Friendly Pasta Recipe with the Best Crockpot Spaghetti Sauce EVER! 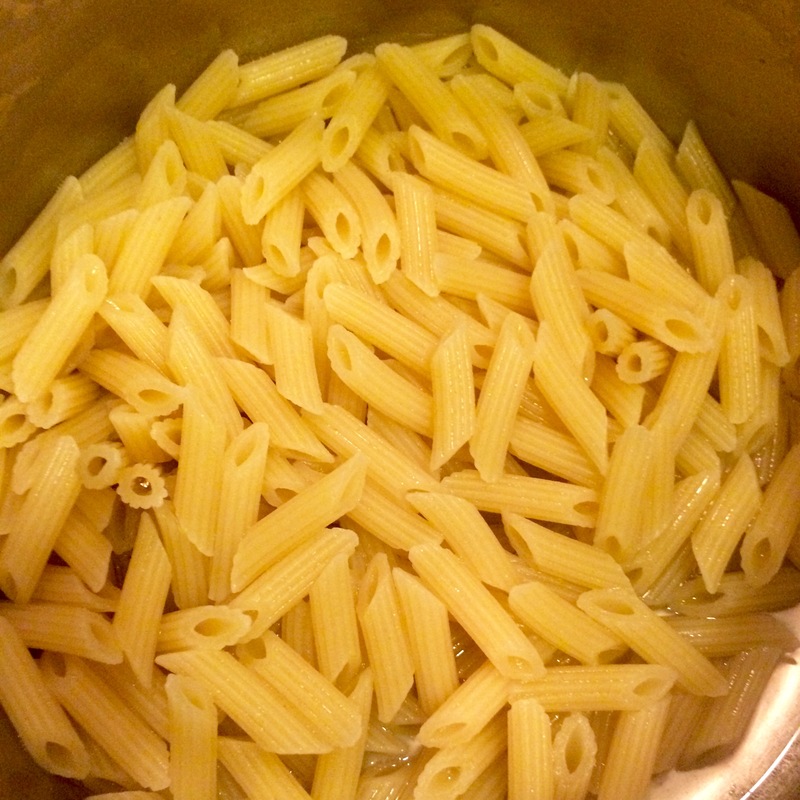 Bring a large pot of salted water to a boil, and cook pasta according to package directions. Drain and set aside. In the same pot you cooked your pasta in, add 1 tbsp butter, and return to low heat to melt. Add your pasta back to the pan with the butter and give it a good stir to coat all of the pasta. Add a ladle full of your now famous crockpot spaghetti sauce, and again stir to combine to cover all of the macaroni with sauce. This gives the pasta a chance to really absorb the the gravy (spaghetti sauce). I am actually reminded of an episode of The Sopranos when Jackie Jr. is getting a gun and a cooking lesson from Ralphie, every time I make pasta, and add the gravy to the macaroni. Let it cook for 30 seconds to a minute, remove from the heat, and serve right away! Everyone will love your new spaghetti sauce recipe, and it can be your little secret how easy (and cheap) it was to make. Use any leftover pasta to make baked ziti for later in the week, and freeze the rest of your spaghetti sauce for dinner another night. 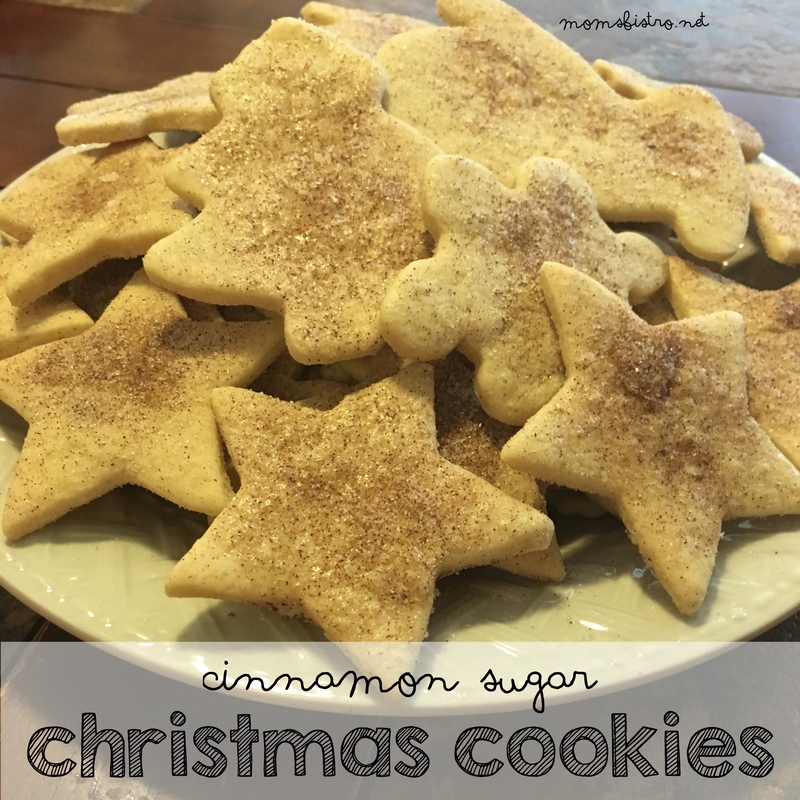 Celebrate National Cookie Day with These Cinnamon Sugar Christmas Cookies! This looks really yummy and so simple! I’m pretty new to cooking and looking for staples like this for our home. I do not have a food mill yet, and it looks like the Pomi strained tomatoes are more than twice the cost (when purchased online) of the tomatoes I usually buy. I was wondering if I could substitute them for just more pureed tomatoes or maybe strain the sauce myself? If you have a tomato mill, use that, if not – just the plain crushed tomatoes work great! That is what I use at my school. and then the rest of the ingredients, and you should be good to go! Do you find it best to freeze in baggies or tupperware? Depends on how much space you have in the freezer. I use tupperware and like to place a piece of plastic wrap over the cooled sauce to keep it from getting freezer burnt! First off, thank you so much for making not only an awesome kid friendly menu, but the shopping list broken down too. I know a lot of work must go into them, yet you share that hard work for free. You’re wonderful. Silly question, the spoon? When you add it, does this mean just sticking out of the side to prevent the sealing of the lid? Thank you so much for the kind words. And, you got it! But also, we use the spoon because when you cook it on the stove there is an old Italian wives tail that the spoon adds flavor. I think it’s just in our blood to do it now! How much garlic powder would you use if you didn’t have minced garlic in the pantry?